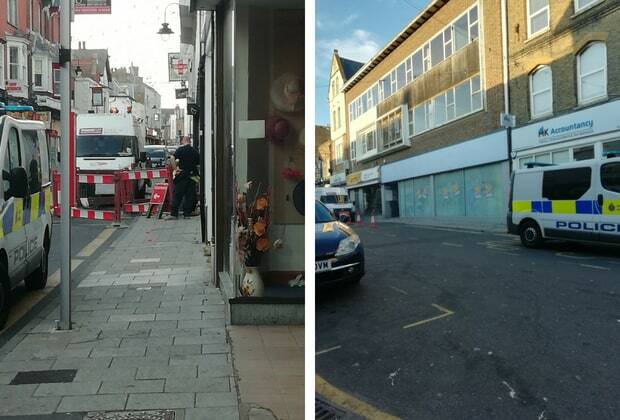 Hundreds of cannabis plants seized at the former Blockbusters store in Ramsgate will be destroyed. 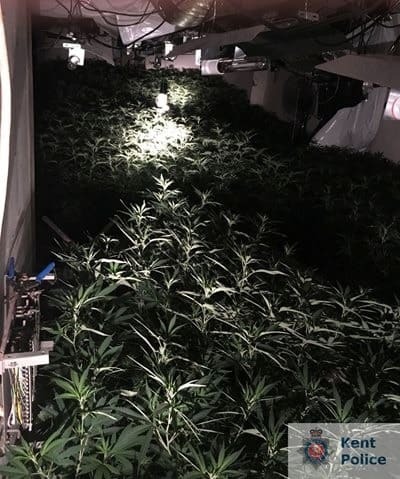 The crop, with a street value worth thousands, was seized by police following the report of a cannabis cultivation at 12.08pm on Wednesday 4 July. Officers from Thanet Community Patrol Team and local PCSOs worked together to clear the building of an estimated 600 to 1,000 plants in various stages of growth, as well as dismantle the cultivation equipment. They were also assisted by Kent Fire and Rescue Service and UK Power Networks who ensured the building was safe while clearance work was ongoing. No arrests have been made at this stage, however enquiries into the cultivation are ongoing. Residents say they reported the pungent smell from the building over a week ago. Inspector Rhiannan Pepper of Thanet Community Safety Unit said: “Cannabis cultivation set-ups such as this, are not only illegal, but can have safety issues too due to the usually unauthorised set-up and use of electricity involved, which can have serious consequences on neighbouring buildings or the wider community. 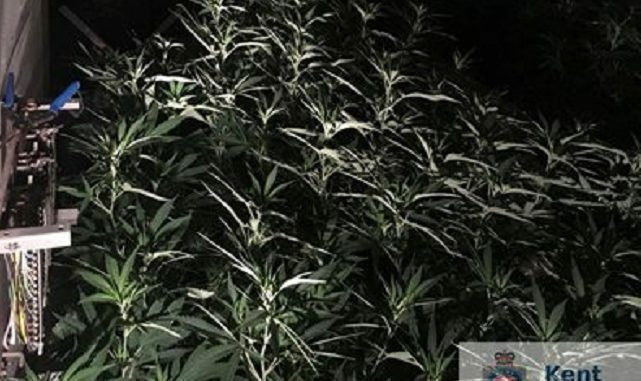 Anyone with information about the cannabis factory is asked to call Kent Police on 01843 222289quoting 04-606.